According to Winston Churchill, “Success is not final, failure is not fatal. It is the courage to continue that counts”. This adage aptly fits the Iranians. Having seen the Iranians play for the first time in my home town, Hyderabad in the year 1986 where India played host to the Iranians in the inaugural Allwyn Gold Cup won by Team India (Team India went on to win the Bronze medal at the 1986 Seoul Asian Games one month later) belies my expectation and belief. The Iranian team lost to all other teams in the competition including the Indian Junior Volleyball team. The tallest player of the Iranian team was Iraj Mozaffari at 183 cm and he played his heart out in the tournament. The average height of the Iranian team if my memory serves me right was 5’9″. It was beyond my imagination and comprehension to ever think that one day the Iranians would be a force to reckon with on the world stage. Not much was heard of the Iranian team between 1986 and 2002. However, at the 2002 Busan Asian Games the Iranian team coached by the seasoned Korean, Park Ki Won beat India in five sets in the most crucial match and finished on the podium after a gap of 36 years. They won the Silver medal losing to hosts Korea in the finals. That in all probability was the turning point of Iranian Volleyball. There was no looking back. They were on the ascendancy. Credit to the team of G.Derakshandeh and his team of dedicated officials of the Iranian Volleyball Federation for having reposed faith in the team and in Park Ki Won. Having seen the Iranian Youth and Junior teams play at the Asian Youth Volleyball Championship held at Vishakaptnam (2003) and the Junior side at World Juniors at Vishakapatnam (2005) and again at Pune (2009) I presume they have left the other Asian sides far behind. Volleyball is second most popular sport among the Iranians. Football is the first. The country’s footballers are considered demigod’s. On the organisational front too they have made a mark playing host to many official championships in Teheran, Uromieh, Ishfahan and Fajr every year ensuring the patronage of the game by the people as well as the government. Putting in place a pro league which is highly competitive has definitely provided the much needed impetus to the game. 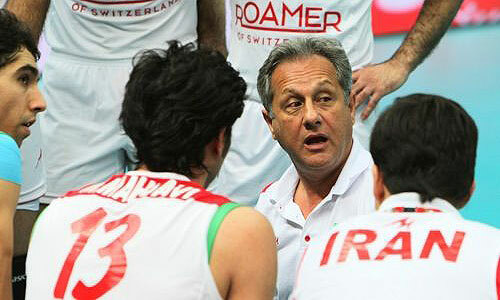 Paykhan Tehran won the Bronze medal at the World Club Volleyball Championships held at the Aspire Arena, Doha in the year 2010 and finished fourth in 2009. The systematic and meticulous planning by the concerned has enabled the Iranians challenge the best. Just as I am mailing to you, I have received a message regarding my country making it to the semi-final beating Korea in the Junior Asian Championship hosted by Iran at Uromieh and the Asian Youth Championship is scheduled from 24th October to 1st November at Isfahan, Iran. Having made it big on the Asian stage with the help of Eastern European coaches between 2006 and 2010 when they qualified for the World Championship finishing 19th definitely did cause concerns for the federation. They roped in the coach of the century Argentinian, Julio Velasco the master strategist. It was a master stroke. He began his stint with a bang winning the Asian Championship at home comfortably beating China 3-1. Arash Kamalvand was named the MVP and Amir Ghafour came of the bench and played the game of his life. The team consisting of Pourya Fayazi, Hamzeh Zarini, Mohd. Mousavi, Captain Alireza Nadi, libero Hossein Ali and Mahdavi Mehdi continued their good work. They put their heart and soul enabling the Iranians put it across the mighty Poles, Sydney Olympic Games Gold Medallist’s Serbia and power house Argentina in the Worlds held at Fukuoka, Japan where they finished 9th. They missed the bus for the London Olympics by a whisker, but credit to the master mentor for ensuring the Iranians don’t loose direction on the last day of the Olympic Qualifiers thrashing hosts Japan in straight sets having known pretty well before the match that they have missed the bus. The difference between a good coach and a great one is the ability to turn around a team’s destiny. 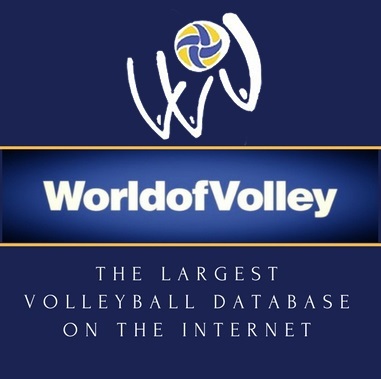 With a FIVB ranking of 14 as on the thirteenth day of August two thousand twelve the Iranian team under the tutelage of Julio Valesco the master motivator embarks on an ambitious journey having thrashed the Egyptians and the Japanese en-route to the 2013 World League for the first time. We wish them the very best of luck. Salutations my fellow Asians. The land of rising sun (Nippon/Japan) is no longer the superpower of Asian Volleyball. It’s the Persians (Iran) who are the flag bearer’s of ASIAN VOLLEYBALL.